A former running back for the Dallas Cowboys has been found guilty of aggravated battery after an incident at a house party in Kansas. 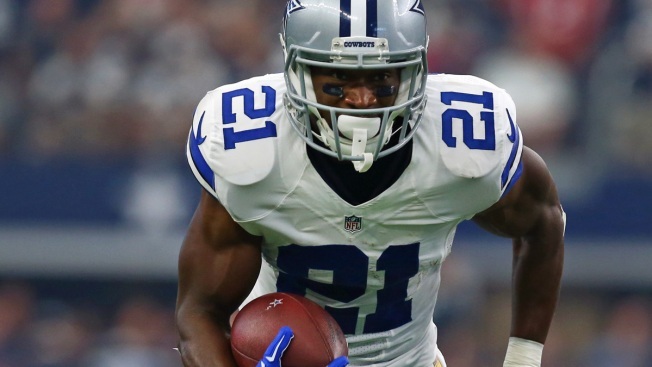 Former Dallas Cowboys running back Joseph Randle has been found guilty of aggravated battery, aggravated burglary, criminal threat and marijuana possession after striking three people with his car as he left a house party in Kansas. KAKE-TV reports that the jury couldn't reach a verdict Friday on two charges of aggravated battery and a count of criminal damage to property. A mistrial was declared on those counts. Judge Kevin O'Conner put those back on the May 1 docket. Randle is accused of kicking in the door at a home in Wichita in 2016, then hitting three people with his car as he fled what he called a hostile situation. He's also charged with running from police officers trying to serve him with a warrant following the attack.